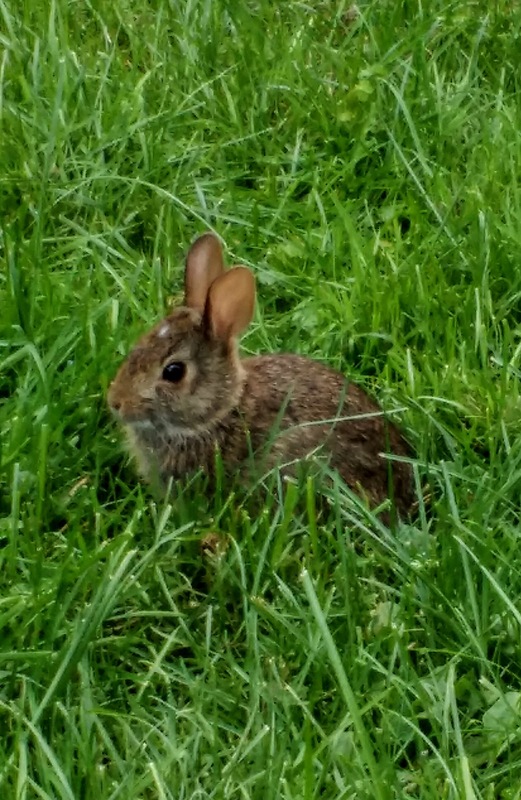 On August 14th., This baby rabbit hopped out in front of me in my back yard and started to eat the grass. Did not seem to mind that I was there and only 3 feet away. 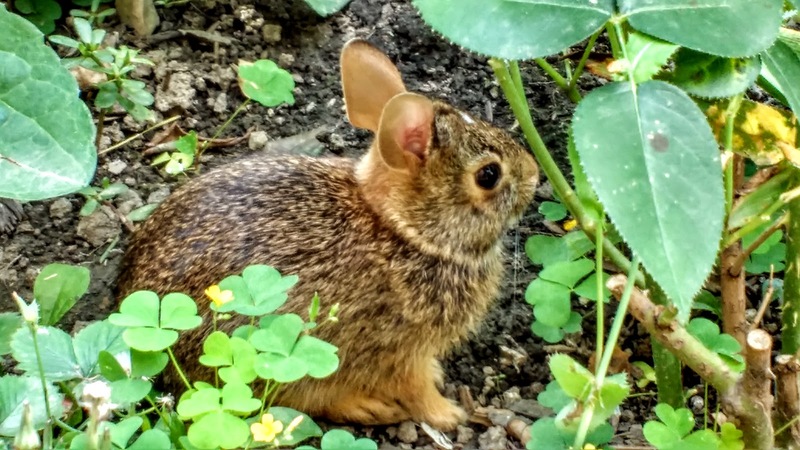 The little rabbit would not let me get any closer than the three feet and then hopped into the flower garden to eat some of those plants. He or she stayed around for about 15 minutes or so before going under a gate between the houses.